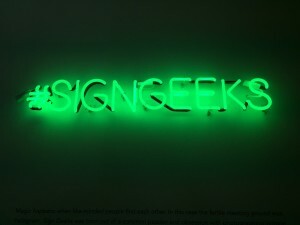 The darkened night lights up once again with the magic of glittering neon as the Sign Geeks photography collective returns with a new exhibit, and this one glows brighter than ever. 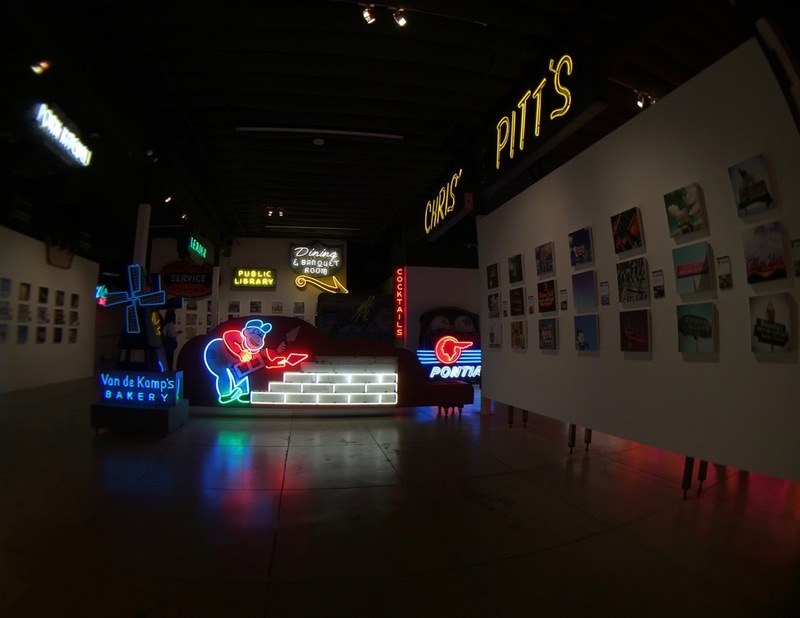 Following a brilliant and extremely successful show in July 2014 at the Pomona Arts Colony, the group is poised and ready for the penultimate showing of their work, at the spectacular new home of the Museum of Neon Art in Glendale. 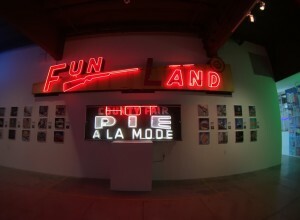 Curated by the incredible and multi-talented production team of Sharlynn Vee, Carlos Vargas and Marc Shur, this neon art photography exhibit features the hand picked work of 54 photographers world wide, with a total of 162 images. The Sign Geeks mutual love of old neon signs and their healthy obsession with capturing images plucked from the past, ironically allowed them to come together in the most modern of ways, the smartphone app, Instagram. 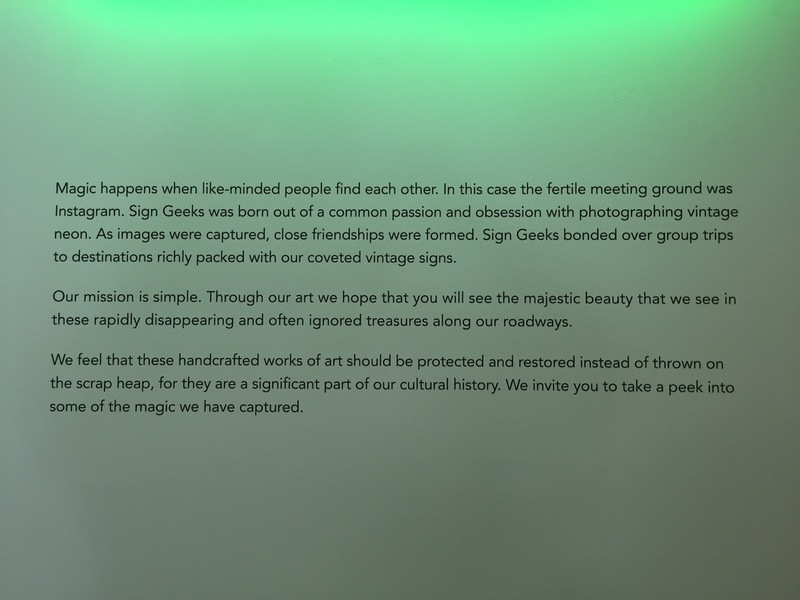 As photographers bonded and appreciated each others work, the hashtag #SignGeeks was created and common admiration, inspiration and creativity was shared. This collection of artists found each other in an unlikely manner, but with a shared passion and purpose they are united, with cameras in hand, by the beckoning glow of neon lights in an otherwise dark night sky. 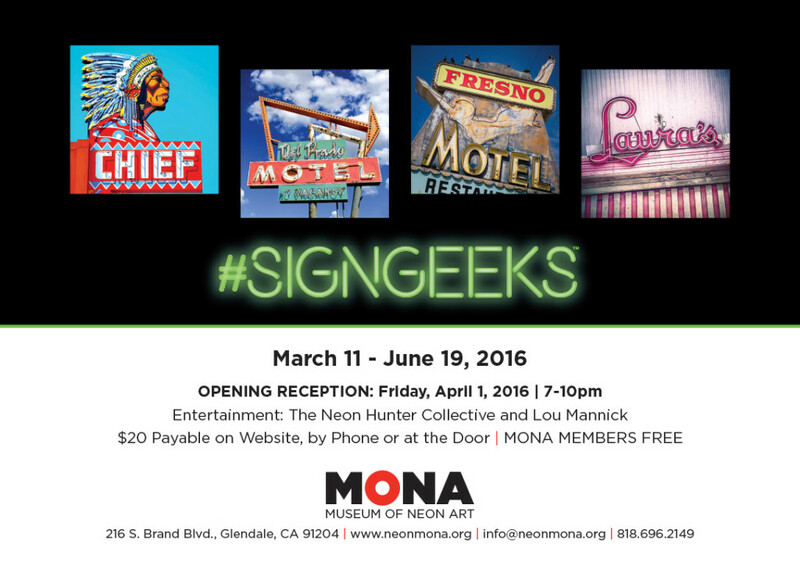 Running from March 11 to June 19, 2016, the opening reception takes place on Friday April 1st at the Museum of Neon Art, also known as MONA. Founded in 1981, MONA recently found a permanent and graceful home in a newly constructed building, shimmering with glistening glass and elegant architectural lines, on Brand Blvd in downtown Glendale. 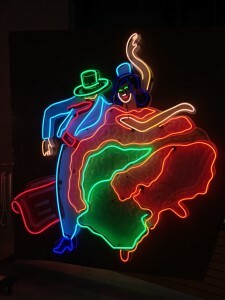 MONA’s mission is simple in that they set out to collect and preserve vintage neon, while simultaneously promoting contemporary artists who push the boundaries of the art form. 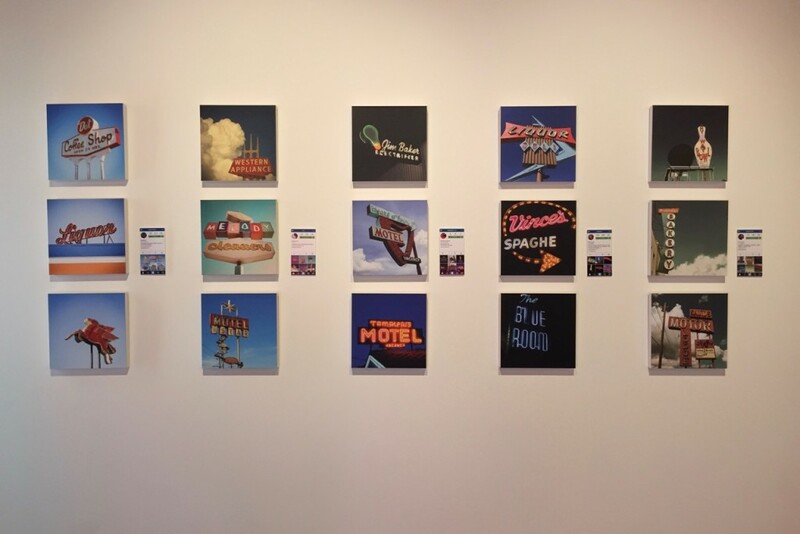 MONA’s meeting of minds and hearts with the photography of the Sign Geeks is a perfect fit. Both seek beauty and truth in the subtle glimmer of a neon glass tube. 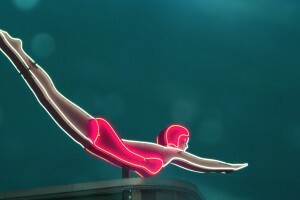 Museum of Neon Art: 216 S Brand Blvd, Glendale, CA 91204. (818) 696-2149. This entry was posted in Art, Events, Miscellanious, Offbeat LA, Upcoming Events. Bookmark the permalink. This list of historic restaurants is so amazing. I visit sometimes from Seattle and my friends show me around to some of these spots, or I try to find them on my own. Have you added The Warehouse in Marina Del Rey to the list yet? We only just drove by on the way to the airport but I was astonished at how amazing it looks! Apparently it may not be there after another year or two… I must go to this place next time I am in LA. Thanks for the resource info!